The Jensen Interceptor and FF were launched in 1966. These grand tourer Jensens would be driven over to the continent in greater numbers than ever before, and travel longer distances. Jensen Motors quickly realised that a Continental Touring Kit should be made available for sale or hire. 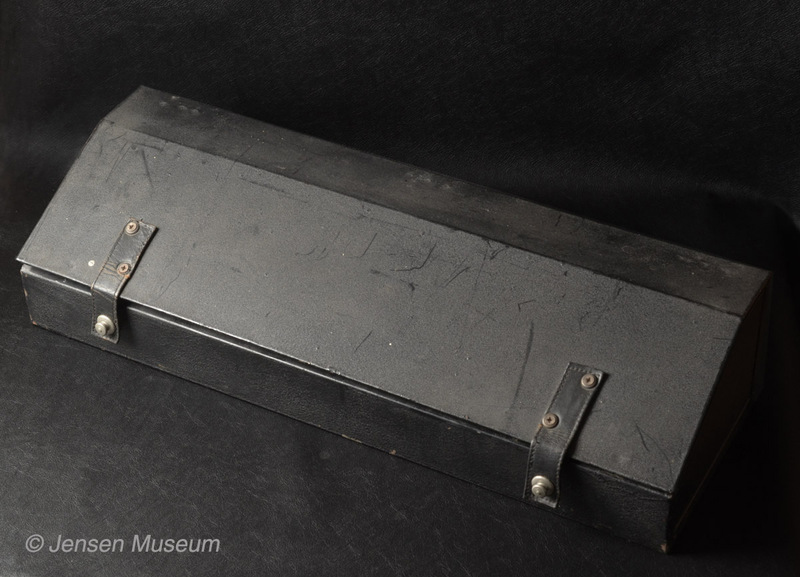 These metal cased touring kits held a variety of parts that could be difficult to access while touring the continent. 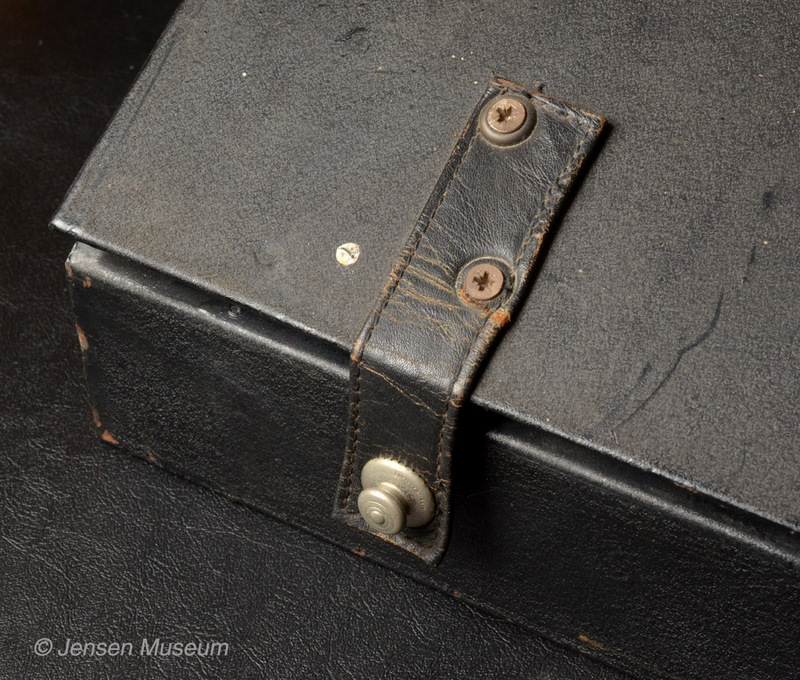 The Museum looks at the background to Jensen’s Continental Touring Kit, and shows, for the first time, a surviving example held within the archive. Although many factory staff were aware of the Continental Touring Kit, they remain today as an enigma. Little in the way of documentation has been found, although there are various references within some car chassis files. The earliest mention of a Continental Touring Kit found so far dates from 13th December 1967. The document relating to the Continental Touring Kit resides in the chassis file of Jensen Interceptor 115/2656. 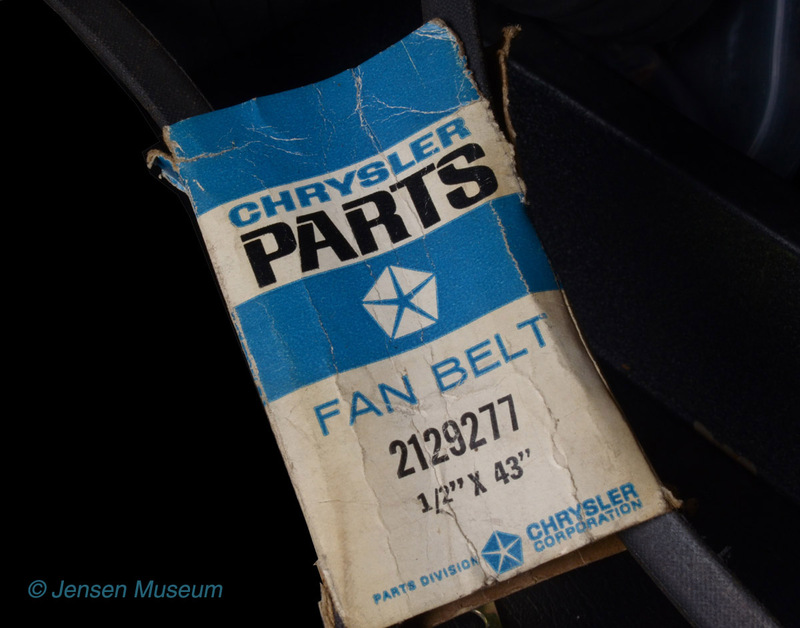 The exact date Jensen Motors started manufacturing the touring kit remains unknown, but in all probability it was during 1967. We are told in the 13th December 1967 document, of the absolute basics to be held within the kit. However, many other essentials could also be added. Initially, the kit was undoubtedly designed and manufactured just for the needs of an Interceptor, since the factory were reluctant for Jensen FF owners to travel outside of the (then) UK dealer network. 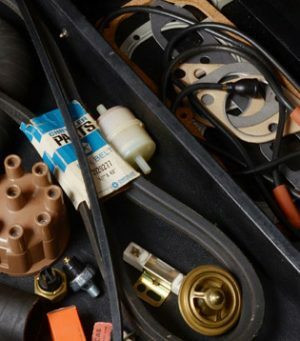 From at least 1967, a complete metal -cased Continental Touring Kit was available for hire, or for outright sale from Jensen Motors, and some of the larger dealers. If the touring kit was hired, and returned with everything intact, just a small hire charge was levied. If some of the parts were used, then the owner would pay the hire charge plus cost of parts used. 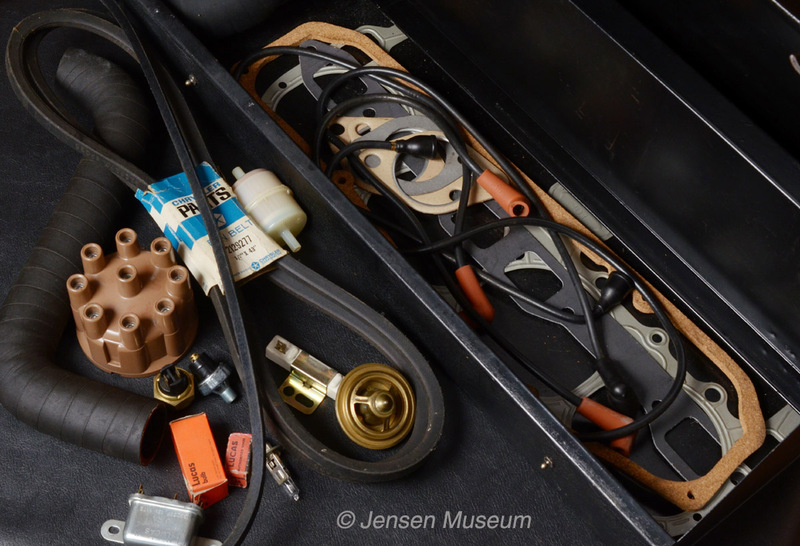 Jensen’s idea was, that the Continental Touring Kit would be adaptable. In other words, further additions could be made to the kit, depending on the needs of the car owner. As 1967 rolled over to 1968, even the FF model was going to find its way onto the Continent. Typically an FF owner might wish to include further parts specific to that model. Of the many Jensen Motors car chassis files so far checked, there hasn’t been many references to the Continental Touring Kit found. But the few references found, give an insight to both the purchase and rental of the Continental Touring Kit. A Mr Cravioto purchased a second-hand Jensen FF (chassis number 127/234) in 1971, and was going to be driving the car over to the Continent. He rented a Continental Touring Kit through the London-based distributors, Charles Follett. The basic Touring Kit was £31.78 to buy, but Cravioto decided to the rent the kit at £3.53 a week. Another example of a Continental Touring Kit being used, was when Good Relations Chairman, Tony Good, was taking a factory demonstrator Interceptor III over to Sweden for a holiday. 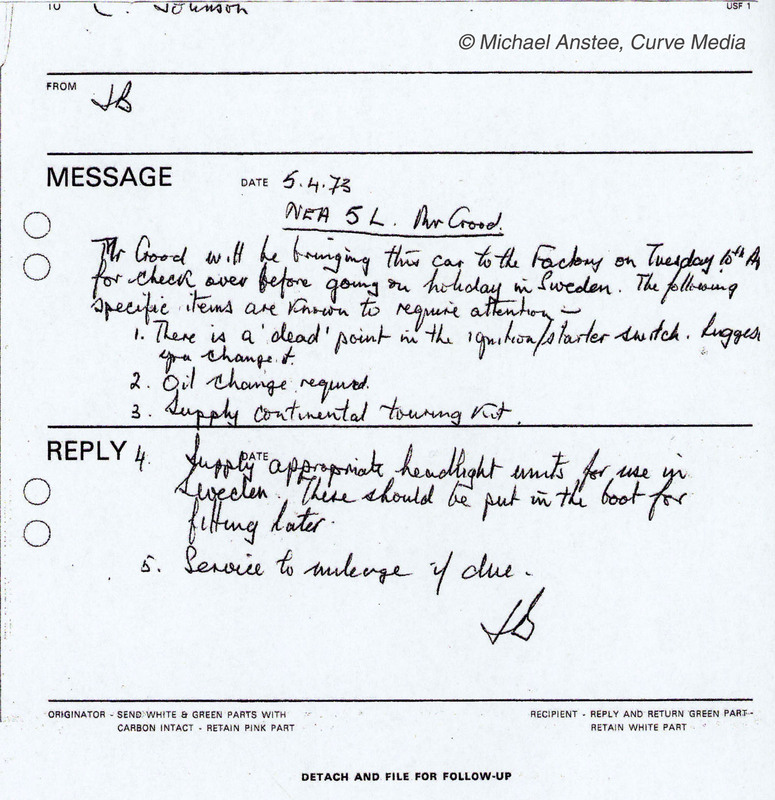 Jensen Motors Internal Message dated 5.4.1973. Jim Branson, Sales Administration Manager, is confirming with Service, to make Tony Good’s Interceptor NEA 5L, ready for driving in Europe. A Continental Touring Kit has been requested. The holiday would be taking place in May/June 1973, and the Interceptor was being brought back to the factory by Good (he was using the car as his regular driver at that time) for some servicing work, and for them to put a Continental Touring Kit in the boot ready for his trip. 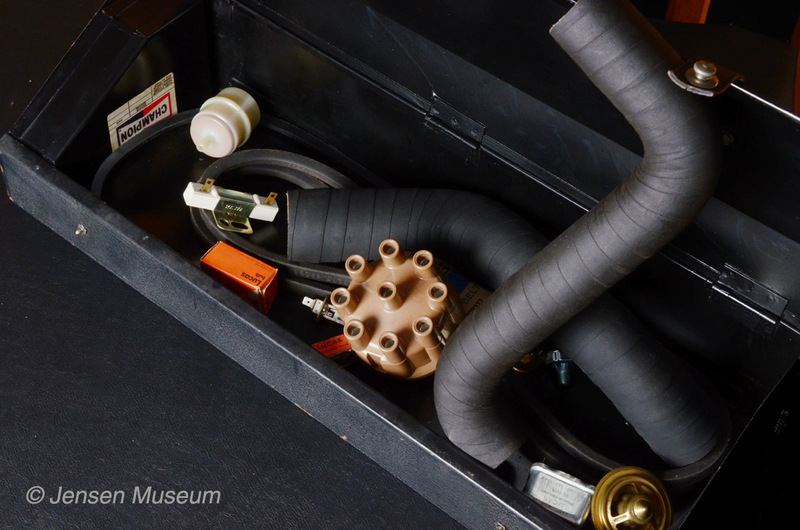 A surviving example of the Continental Touring Kit is held in the Museum’s archive. This kit includes all the basic contents, along with a range of extras, relating to a Jensen Interceptor MK.II. The Continental Touring Kit provided by Jensen Motors from 1967. 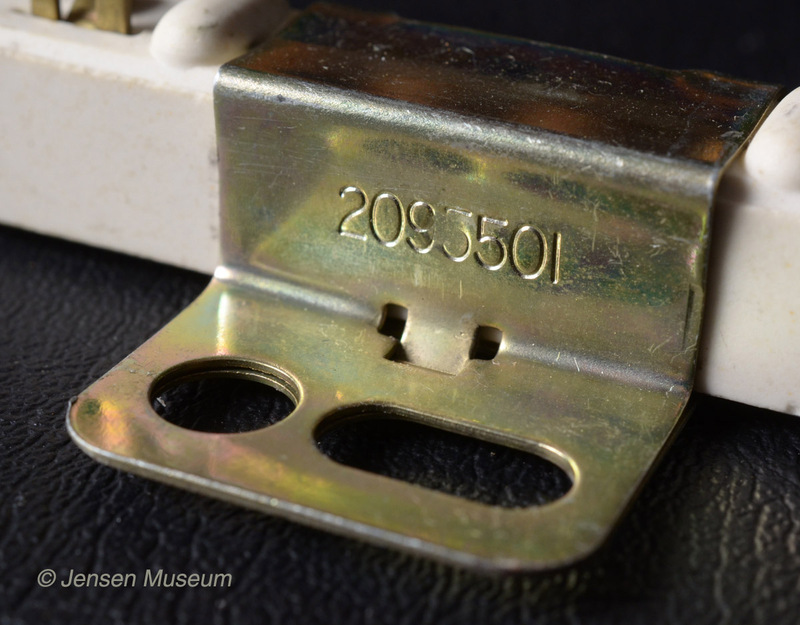 Close-up image showing the leather fastenings to the front hinged flap. With the metal lid opened, the contents are revealed. To the left of the image is the metal container with the Champion label. 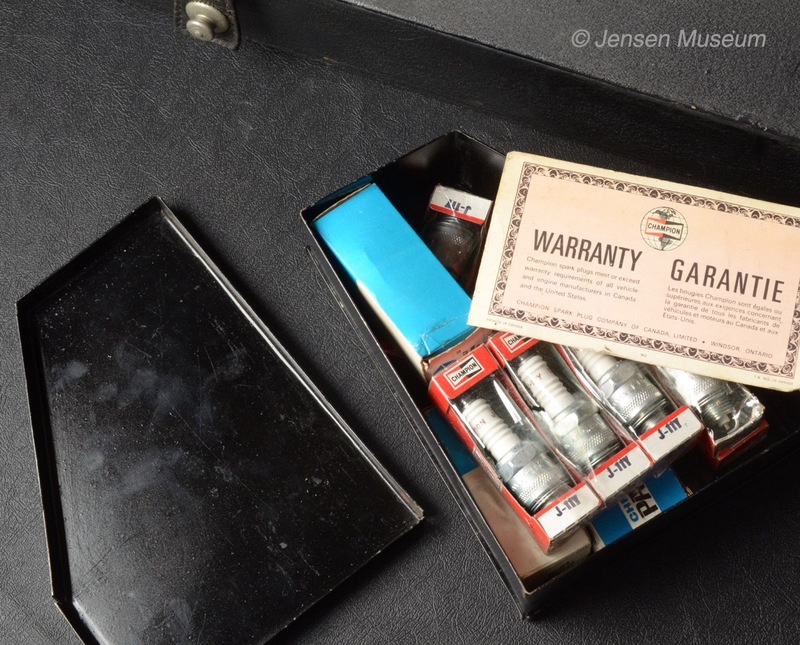 Inside this container is a set of spark plugs, along with points, condenser, and rotor arm. 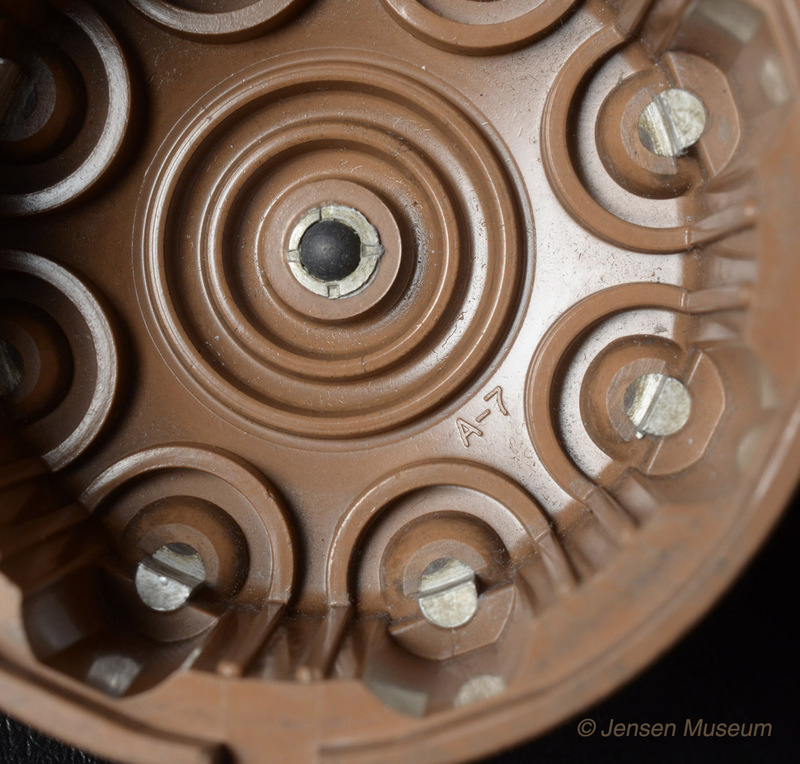 Under the initial contents (such as water hoses, fan belts and sundries), is another hinged metal lid. When this is opened, a base section of further contents is revealed. On this lower level is various gaskets, HT leads etc. The metal spark plug and distributor spares container, which slots into the left-hand side of the kit. 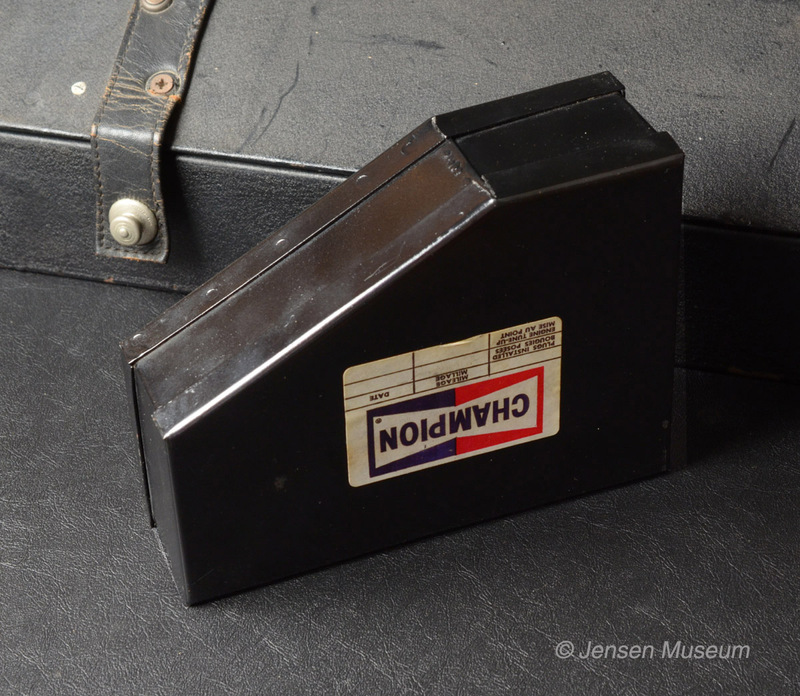 A large Champion label was attached to the side. The container with lid open. Contents include a set of Champion spark plugs, along with points, condenser, and rotor arm. A Champion Warranty card sits on top of the plugs. 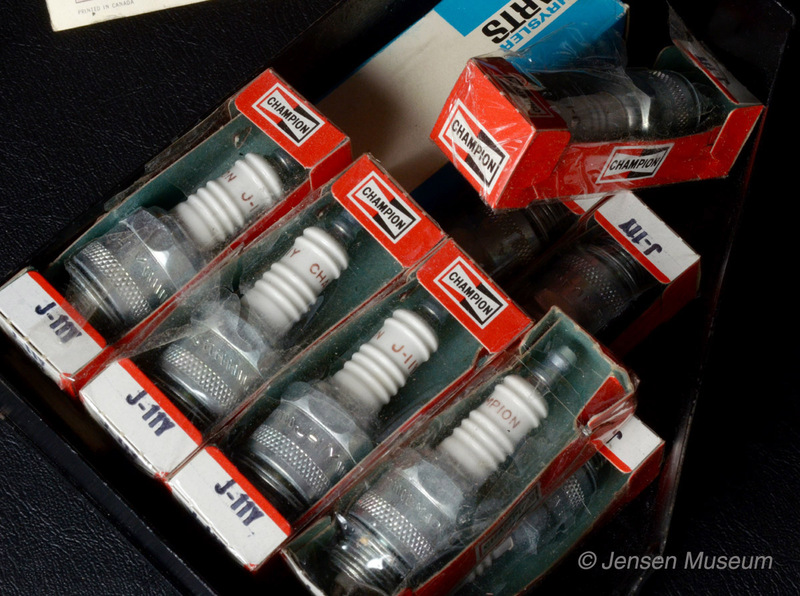 Close-up of the Champion J11Y spark plugs, which remain in their original packaging from the manufacturer. 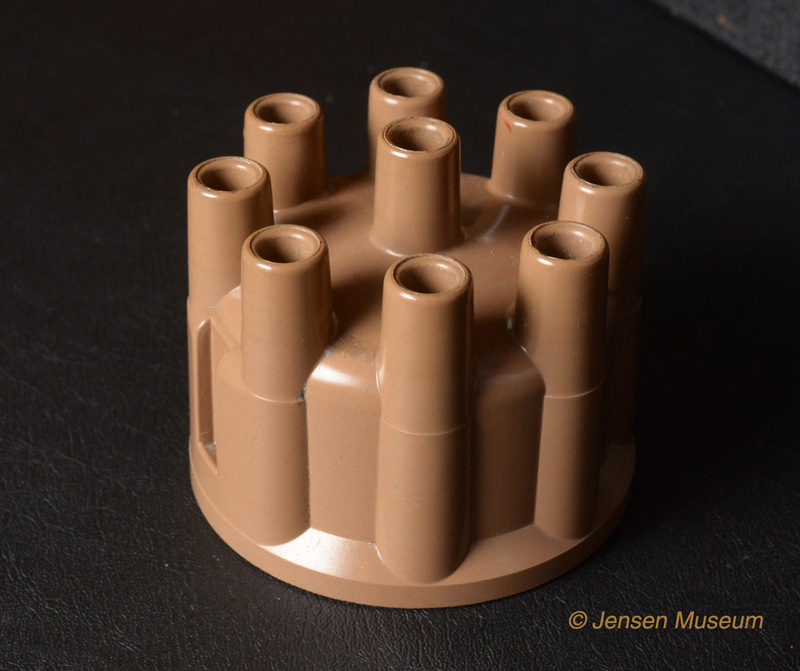 The container also held spares for the distributor, including points, condenser, and rotor arm. 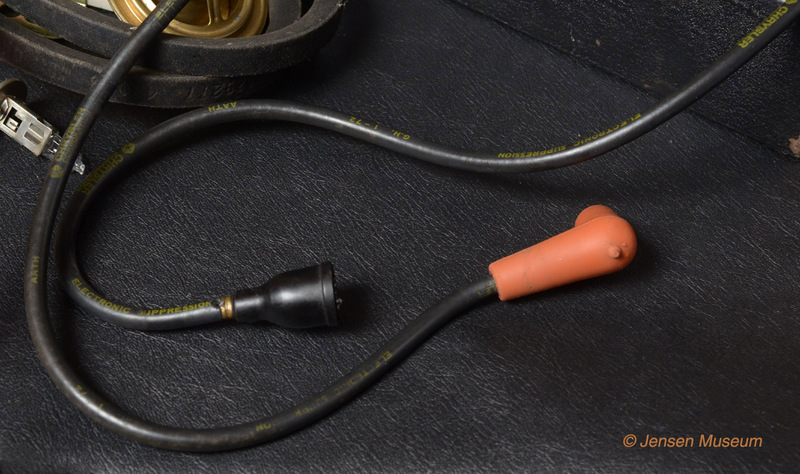 Original buff coloured distributor cap. 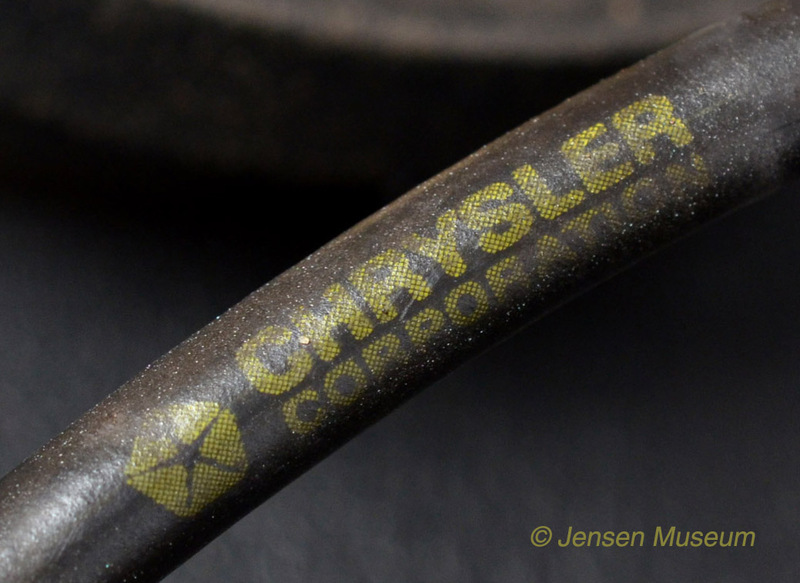 The Chrysler Corporation name & logo printed to the HT lead. 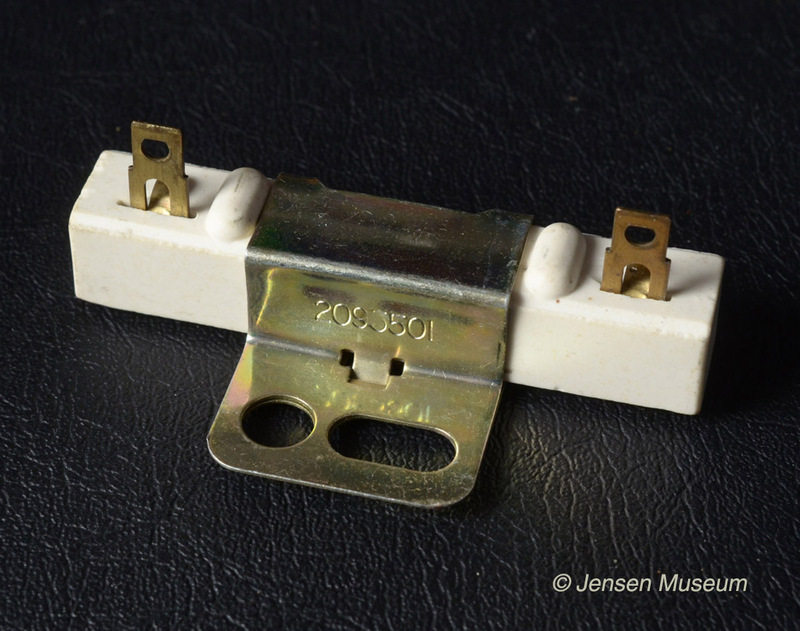 Code number ‘2093501’ for the Chrysler ballast resistor. REQUESTS: If anyone has Jensen documents that relate to the Continental Touring Kit, we would be very pleased to hear from you. ADDITIONAL INFORMATION: If you have any additional information relating to this feature, please contact us at archive@jensenmuseum.org, or telephone +1694-781354.